As Bootsie so famously once sang, “Bermudians love to drink” and while our community is working together to limit the drinking and driving culture that so plagues our tiny island, we’ll always enjoy indulging in a tipple or two whether it be 5 o’clock or not. With that sentiment in mind, we set out to curate the ultimate Bermudian bar car, complete with every libation and accoutrement Bermudians over the age of 18 need to adorn their home (or office) liquor cart. Since the 1800s, Gosling’s have blended, barreled and sold their world-famous rums. If you’re Bermudian or have visited Bermuda before, chances are you have a story that begins with a Dark n Stormy or Rum Swizzle and ends precariously. 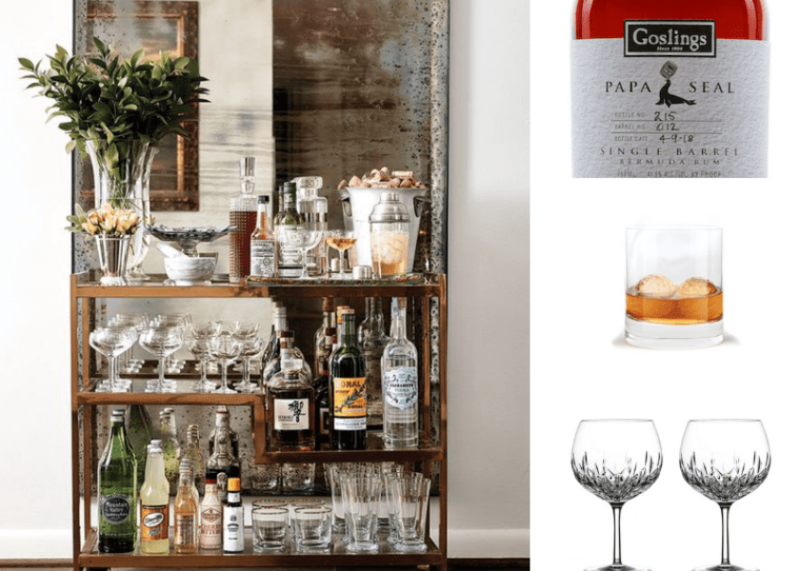 Simply put, you can’t have a Bermuda-themed bar cart that doesn’t feature Gosling’s rums. Bonus points if you stock your cart with the brand-new Papa Seal rum, available for purchase for $179. Champagne is a must for every bar cart, especially come summertime when garden parties, afternoons spent on the boat and tipples enjoyed outdoors at sunset become the norm. 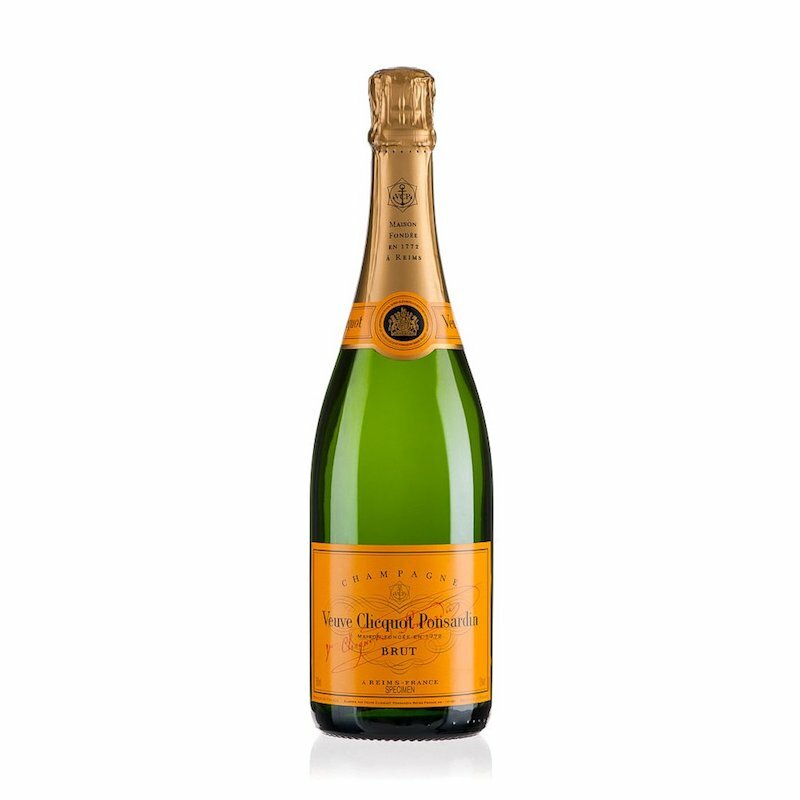 Veuve Clicquot Champagne Brut Yellow Label is a classic that can be enjoyed chilled on its own or used as an ingredient in champagne cocktails, like these ones. For the simple fact that gin is a liquor that derives is flavor from juniper berries (i.e. cedar trees) Bermudians should all like gin. Experts say that to drink gin like a pro you need the perfect garnish (lime has always been the favourite accoutrement to gin), plenty of ice and the perfect glass – our favourite gin glasses are made by Waterford Crystal and are available for purchase at A.S. Cooper & Sons, Ltd. Main Store on Front Street ($100 for stemless, $128 for stemmed). 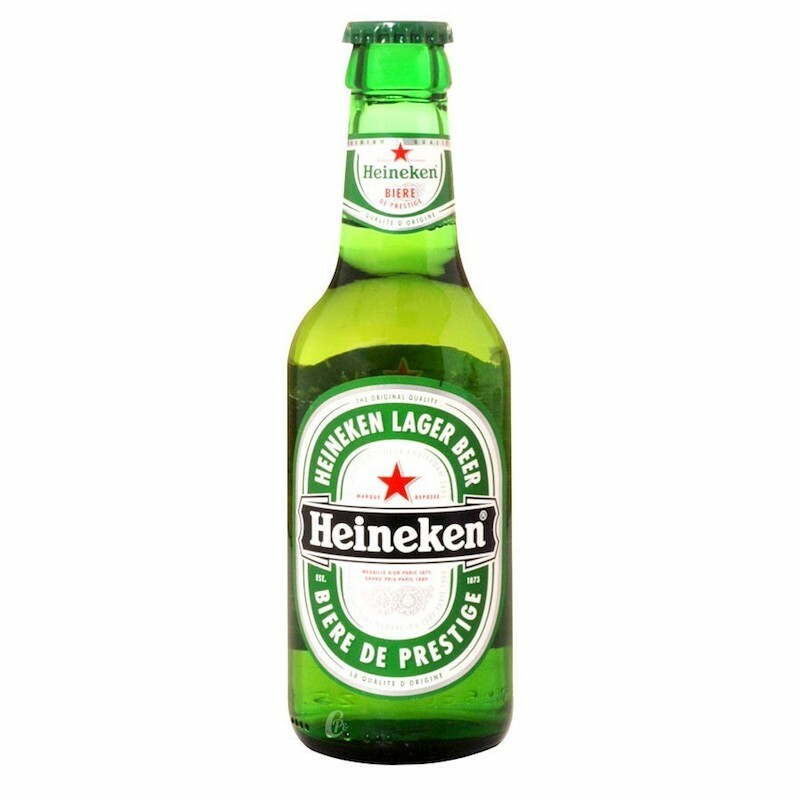 The Dutch beer brand, Heineken is a favourite among Bermudians. Whether you plan on an at-home beer pong tournament with friends or simply indulging in a cold one after work, you can’t go wrong with Heineken’s bottled beers and they add a certain colorful punch to a bar cart. 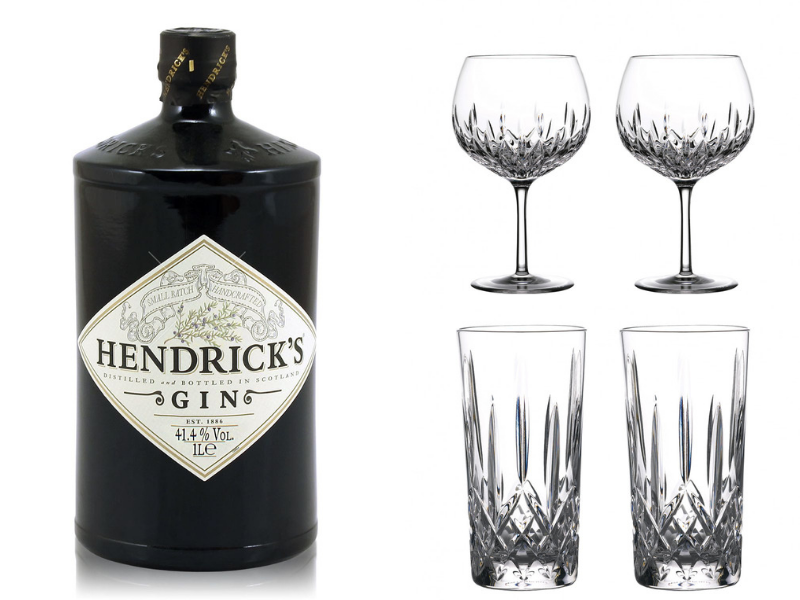 A Bermuda bar cart would not be complete without Bermuda-themed glassware. 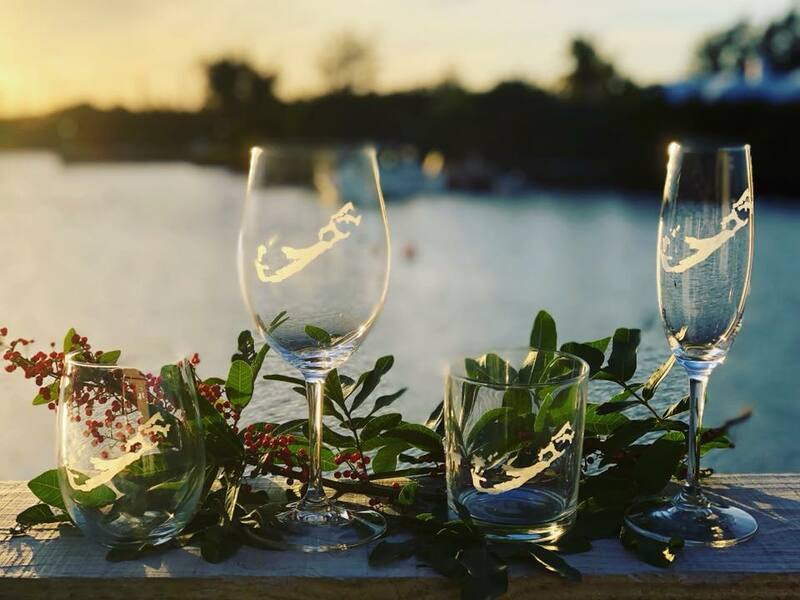 Our favourite stemmed and stemless wine glasses and champagne flutes come from Soiree Bermuda and feature the Bermuda topical map etched into the front. Soiree Bermuda glassware can be purchased from Thirty Two 64 on Front Street. If you’re really into the Bermuda-theme, La Petite Soiree offers the most culturally-significant cocktail napkins in Bermuda. 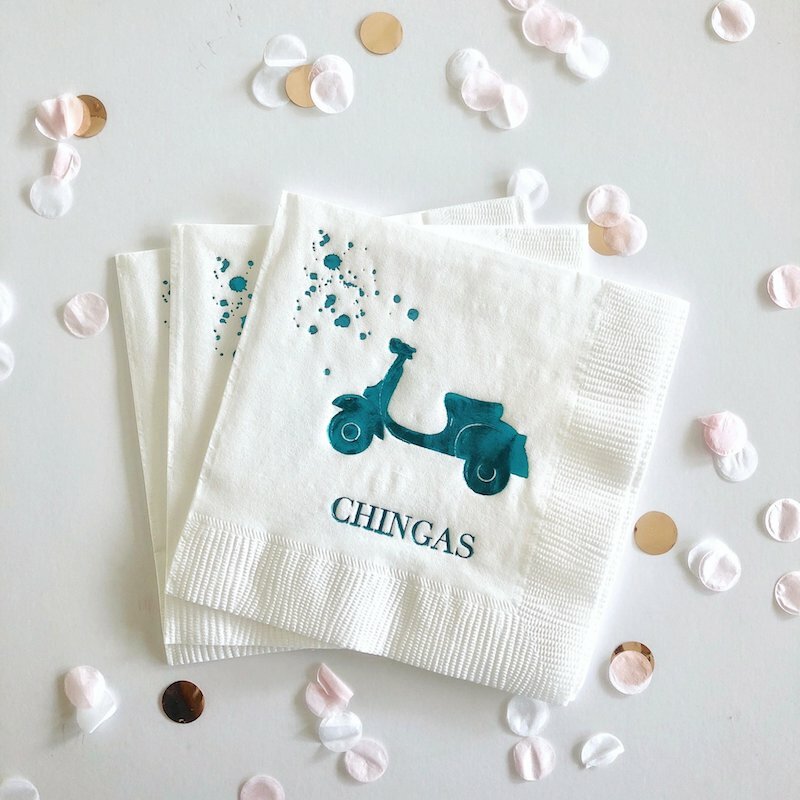 With fun colours and depictions of Gombeys, Vespa scooters, the Bermuda map and monstera leaves, these cocktail napkins are exactly what your bar cart needs to take it to the next level. La Petite Soiree’s napkins retail for $16.50 and are available HERE. If you enjoy whiskey then you’ll appreciate these golf ball whiskey chillers from MenCo (on Burnaby Street, underneath Jackson’s School of Dance). 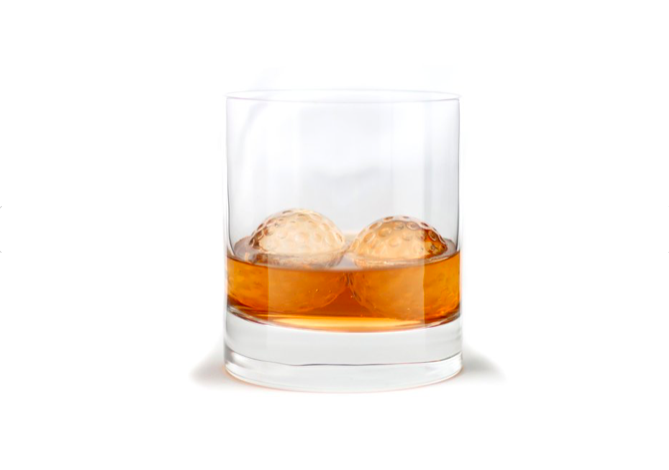 Priced at $65, chill them in the freezer before adding them to a glass and pouring the whiskey right over top – they promise to bring your whiskey (or vodka, scotch, white wine) to perfect temperature. 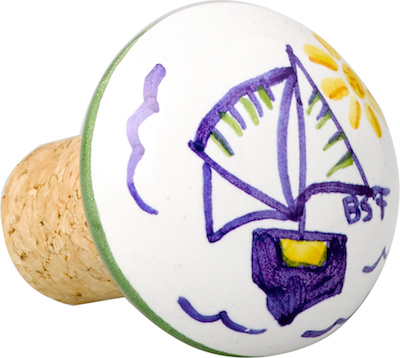 When corking wine, it’s always best to do so with a Bermuda-themed wine stopper from The Island Shop. Priced at $18, Barbara Finsness’s stoppers are depicted with Bermuda cottages, the fitted dinghy, a turtle, lizard and frog. Protect tabletops in the chicest way with Smathers and Branson’s Front Street coaster set. 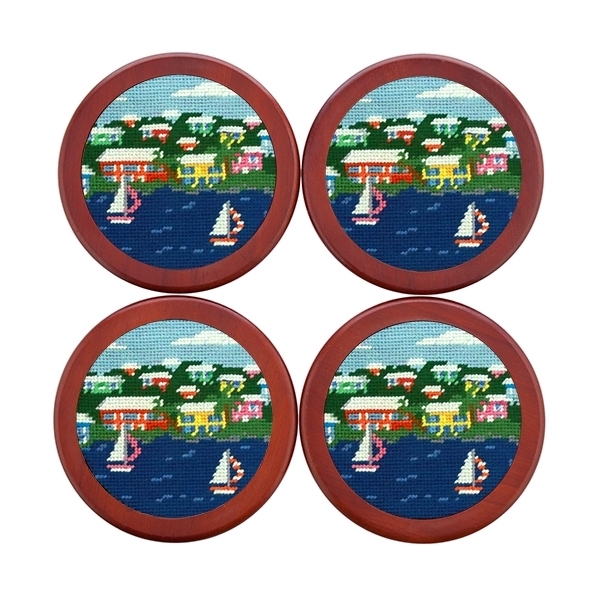 Priced at $89, these needlepointed coasters come in a set of 4 and feature a polished wooden holder. Available for purchase from A.S. Cooper MAN on Front Street.